No wonder with the abundance of Filipino cuisine restaurants in the country, this new and unique Salcedo Village restobar fuses the Filipino and international flavors while still maintaining the Filipino flavor that everyone loves. Mr. Orville Zosa, the owner of Bodega Kitchen and Bar, says that the concept is to bring back the old memories of our lives and also adding a positive side to the throwback years. The concept is also dedicated to millennials who want a unique twist on Filipino cuisine. He stresses that Filipino cuisine is not just for families but for everyone, too. 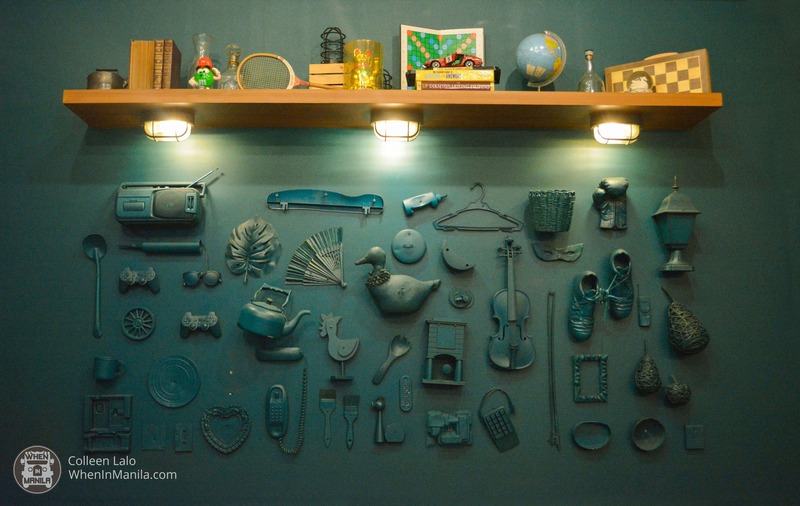 The eye-catching art wall inside the establishment is actually an etched collection of things that are found in the owners’ bodegas, along with other things placed on top. It gives emphasis to the concept of bringing back old memories. It may be small, but it’s a great and relaxing place to enjoy dining with family and friends. 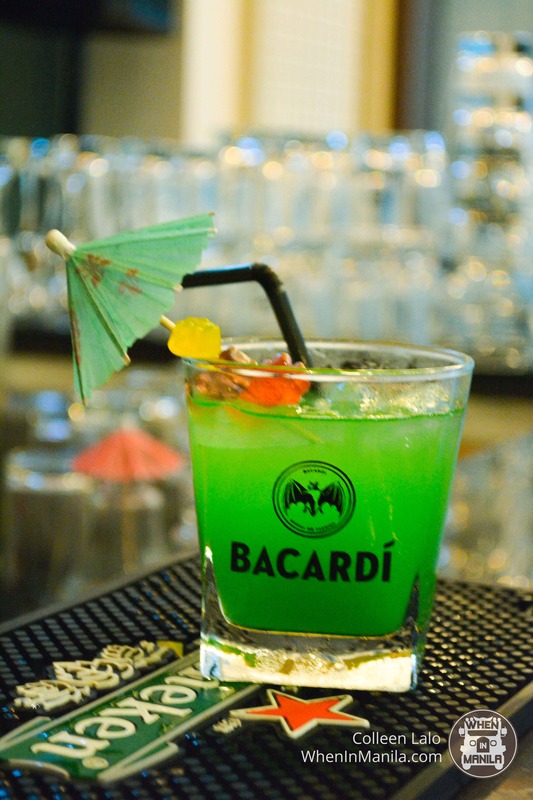 It has a full-line bar featuring different choices of drinks. 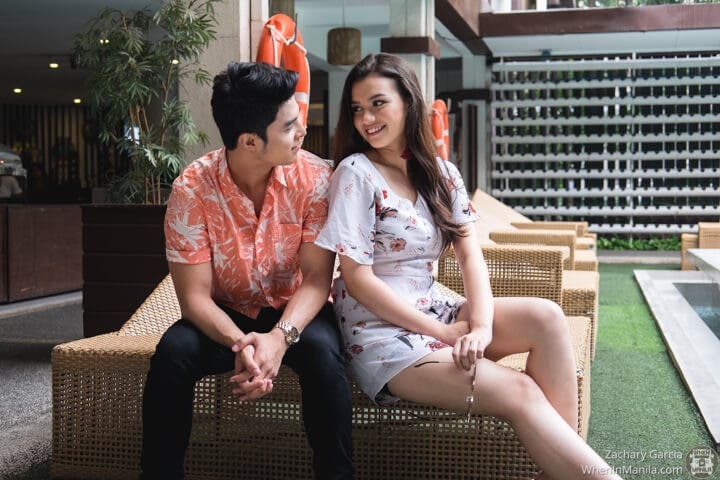 Their runaway bestseller, Sinarabsab, is based on the Ilocano dish with some additions. There’s tasty liempo at the top, crowned with sweet bagoong and creamy dressing, and salty tortang talong below it. The siding, green mango salsa, complements the sweet-saltiness of the dish. The Greek Inasal Gyros has a unique dimension to the Greek and Filipino cuisine. It has cutlets of juicy grilled chicken inasal and served with tabbouleh salad (tomatoes, greens and couscous) and two sauces, the spicy harissa (chili paste) and tangy Greek yogurt dressing tzatziki with mixed cucumbers. One thing’s unique is that it can be eaten with a pita bread, but it can also be eaten with rice. 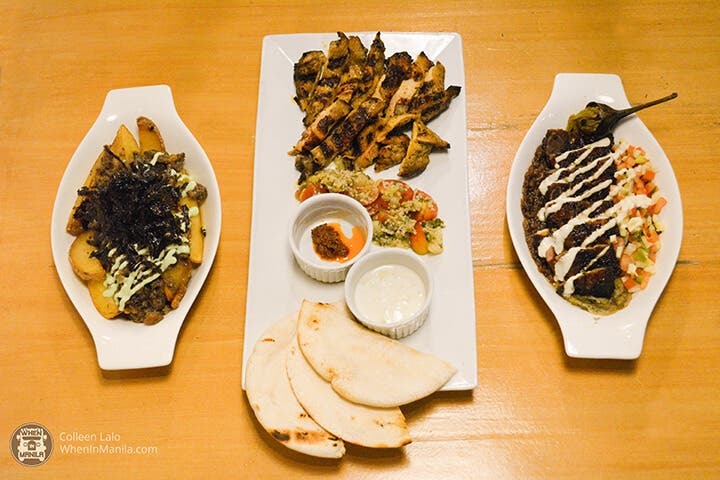 Their tasty yet flavorful appetizer, the Sisig Fries, as exactly what it says on the tin, is wedge-shaped fries with sisig toppings. But it’s not just purely sisig on fries. It has topped crunchy Japanese nori and a dollop of wasabi mayo for a hint of spiciness. Kansi, a Hiligaynon dish with bulalo and sinigang, has been given a new life with the addition of kimchi, fusing the Filipino and Korean flavors in a soup! Their version of inihaw na pusit is marinated with green tea. It’s served with a handful of green mango salsa sidings and a lemon butter dipping sauce to make it tastier and zesty. And lastly, their cocktails can be served in unique lightbulb-shaped glasses or classic glasses. What’s unique about it? It has gummy bears in it! Every Friday night (#TGIF), the hype turns higher. Starting 9:30 in the evening, Zero Problems kicks off with Manila’s top DJs spinning the turntables. During that period, it’s buy one bottle then the next at 50% off! 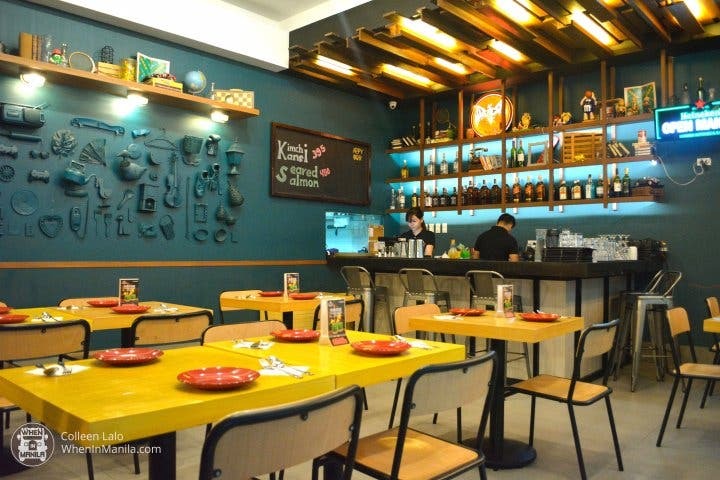 Bodega Kitchen and Bar is a great formula that takes Filipino cuisine to the next level, providing a comfy and relaxing all-day dining experience to keep everyone’s stresses away.